It can be confusing tracking your progress when it comes to poker rakeback. Some online poker rooms display how much rake you’ve paid so far and how much rakeback you can expect in your next payment. Other poker sites don’t show that information – your rakeback simply arrives in your poker balance on a given date. The only indication that you have affiliate rakeback may be that you haven’t received a signup bonus. Other rooms will offer both rakeback and a deposit bonus. One thing is constant – you are not required to log in to Rakeback.com or share your personal information with us in order to get rakeback on any poker site. The only time we’ll ask for your email is if you volunteer to subscribe to our monthly newsletter. Simply clearing cookies and downloading a poker room from any links on this website is enough. Your account will automatically be tagged for rakeback after installing the room software. There’s no need to ‘opt in’ or do anything else to set up rakeback. 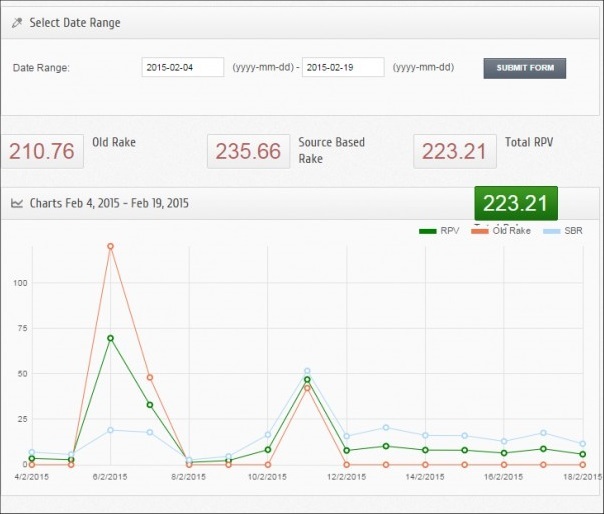 Learn how to track your rakeback on various poker rooms below. 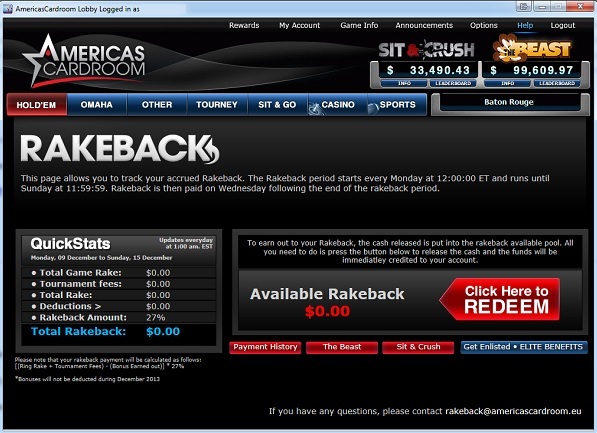 The most popular USA friendly rakeback room, Americas Cardroom displays your rake data and rakeback in the client. Simply select ‘Rewards’ from the top menu to track your progress. On the next rakeback screen you’ll see your total cash game rake, tournament fees, and total rakeback that week (27% of net rake). You can pay yourself at any time by selecting ‘click here to redeem’. You’ll be paid out automatically once per week, if you don’t claim it sooner. There’s no need to email us to activate your rakeback account or opt in, simply download the software from our links and you’re set up for rakeback instantly after installing. You can also begin clearing the $1000 deposit bonus in addition to earning rakeback. If you have an existing account set up for the VIP program (aka Elite Benefits) and wish to switch over to rakeback, email or live chat Americas Cardroom support to make the change. 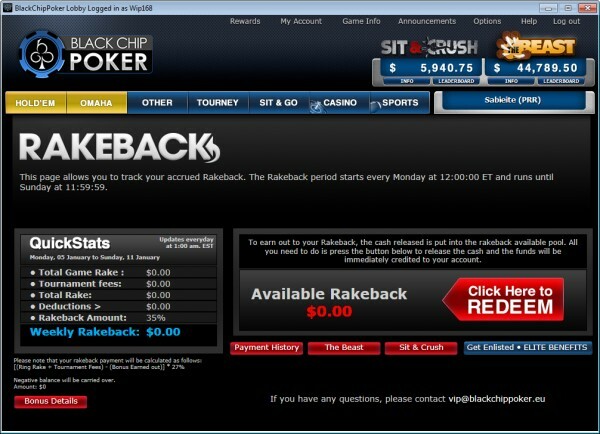 Alternatively open a Black Chip Poker account with rakeback (see below). Black Chip Poker is an identical skin of Americas Cardroom, sharing the same playerpool, games and software. Rakeback accounts are also set up in the same way too – simply download the client via Rakeback.com and earn rakeback from your first hand, and track your progress under ‘Rewards’. US players are permitted to open accounts at both Americas Cardroom and Black Chip Poker, and clear deposit bonuses on each. While clearing the $1000 deposit bonus your net rakeback is 41.6%, on top of the base 27% rakeback. Once again if you have an existing Black Chip account without rakeback, email support to be switched over from the VIP program to rakeback, and/or open an Americas Cardroom account with rakeback. Iron Poker is an iPoker skin that pays out 40% flat rakeback weekly under the old iPoker rake structure – not the new ‘source based rake’ on Winner Poker. Rakeback players do not receive a signup bonus. 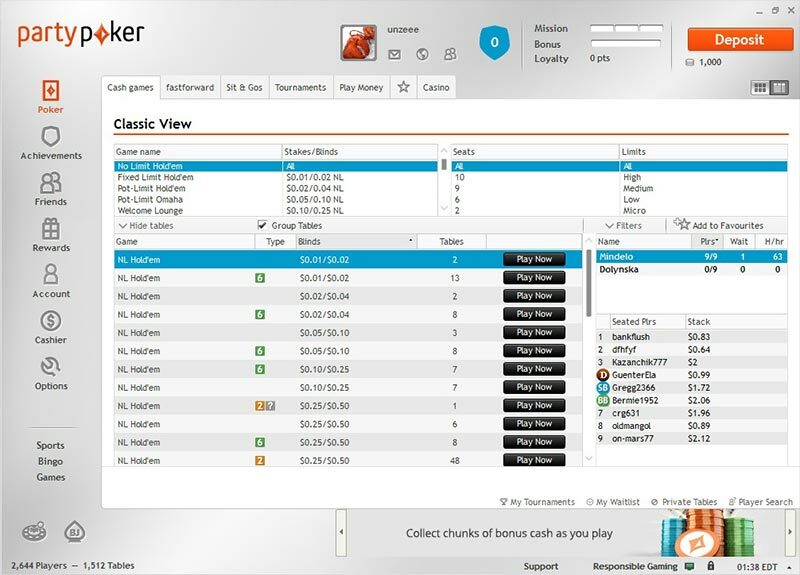 Rakeback.com added this room as an alternative for players who prefer the old iPoker rakeback system which doesn’t get hit by deductions based on how much you deposit and win. 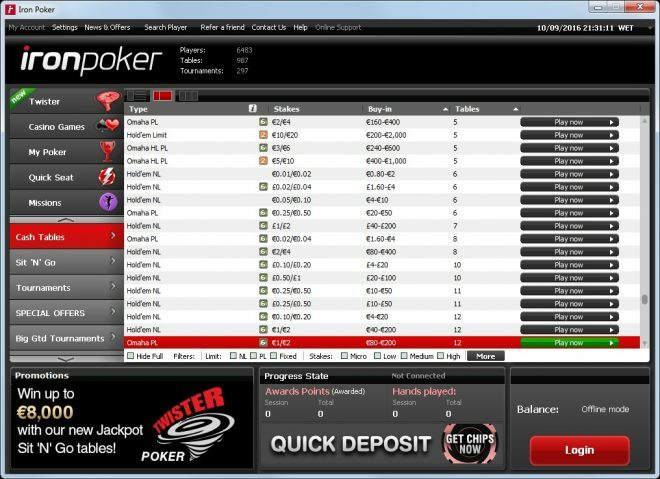 All that’s required is to download the Iron Poker client from our links, no need to email us or opt in. There is unfortunately no way to track your rakeback exactly in the Iron Poker client. 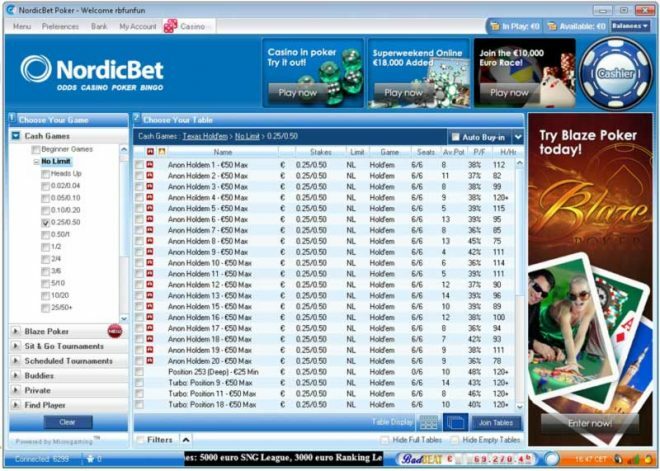 Player can however use Holdem Manager or PokerTracker to track their own play and expected rakeback. Juicy Stakes is another US facing poker site, on the Revolution Network. Players receive 36% rakeback weekly, paid on Wednesdays, plus a signup bonus. There is unfortunately no way to track Juicy Stakes rakeback in the poker client. Nordicbet Poker pays players that sign up via an affiliate 30% rakeback weekly, each Monday. There’s no need to opt in or email us. However there is unfortunately no way to monitor your upcoming rakeback payments in the Nordicbet client. They simply arrive each week into your account balance. Player with access to Holdem Manager or PokerTracker can track their rake themselves and from that calculate their expected rakeback. 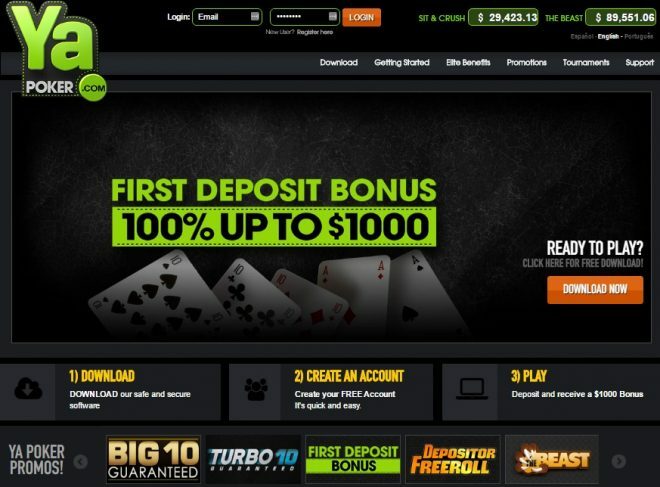 Rather than display each players’ rake data in the client itself, Winner Poker created a separate website for that purpose – PokerBills.com – log in there with your Winner username and password. This way of tracking rakeback came into effect at the same time the new source based rake system was introduced on iPoker, which assigns players a ‘real player value’ (RPV) based on how much they deposit and win. Rakeback account players receive 60 – 70% of their total RPV each week, paid directly into your Winner account balance every Wednesday. You should also receive email notifications that a payment is waiting for you in your account. Rakeback players do not receive a signup bonus. There’s no need to email us to activate your Winner rakeback account, although occasionally players will experience short delays in PokerBills recognising their accounts, or rakeback payments arriving. In those cases email us ([email protected]) and we’ll follow up with Winner Poker affiliate support on your behalf. Ya Poker is another Winning Poker Network skin, with South America based support staff. Once again find your rake data and available rakeback in the ‘Rewards’ section in the poker client after installing. As with Americas Cardroom and Black Chip Poker, you’ll see you total cash game and MTT/SNG rake accrued that week, and be able to pay yourself rakeback on demand at the click of a button. Rakeback is active from the moment you install the Ya Poker client if you download via Rakeback.com. Deposit bonus clearing also begins from the first hand, on top of your base 27% rakeback. As with other WPN rooms, if you have an existing account on the VIP program Ya Poker support staff can perform a one-time switchover for you to a rakeback account. US players are not accepted on this skin, unlike ACR and BCP. PokerStars does not offer traditional, flat rakeback however players earn Starscoin while playing which can be traded in for up to 30% cashback, e.g. $10,000 for 1 million Starscoin. Players are opted in to the PokerStars VIP Club automatically. 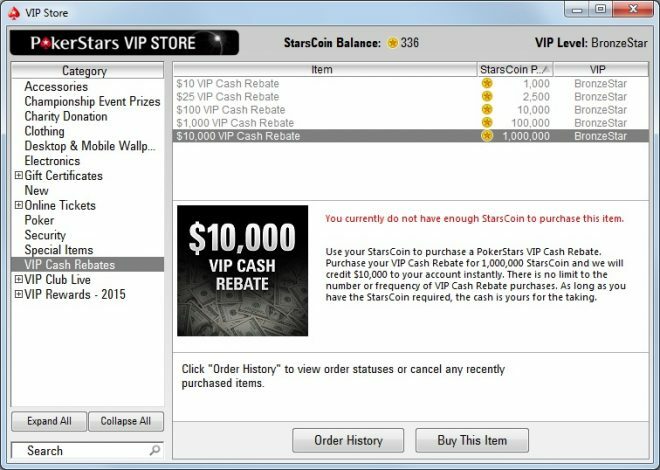 Your Starscoin total and VIP status can be viewed at the top of the PokerStars client and in the VIP Store, where cash bonuses are purchased. This is an example of a VIP program room – volume based VIP rewards are less valuable than rakeback on some poker rooms, and more valuable on others, depending on how much rake you generate per month. Most players on PokerStars will only earn 10-15% cashback so choosing a rakeback friendly room like these PokerStars alternatives is recommended. The advantage to PokerStars is its high player traffic and wide variety of uncommon games (e.g. HORSE, Badugi), alongside and easy to clear $600 initial deposit bonus. PartyPoker does not offer rakeback however players earn Loyalty Points while playing which can be traded in for up to 22.2% cashback. Players are opted into the Loyalty program automatically. Players can view their current points total at the top of the PartyPoker lobby. Players that sign up via Rakeback.com receive a larger deposit bonus of $500. Most players on PartyPoker will only earn 10-15% cashback so choosing a rakeback friendly room like Americas Cardroom for 27% flat rakeback may be preferred. The advantage to PartyPoker is large guaranteed tournaments with casual players. PKR Poker does not offer rakeback however players earn points while playing which can be traded in for up to 30% cashback. Players are opted into the PKR VIP program automatically. 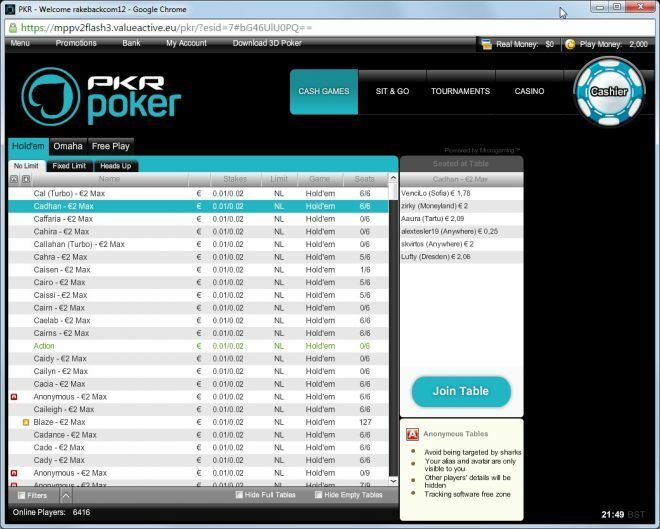 Players can track their current points total in the PKR poker client. This is another example of a VIP program room – volume based VIP rewards are less valuable than rakeback on some poker rooms, and more valuable on others, depending on how much rake you generate per month. The advantage to PKR is the 3D poker table format which attracts some recreational one-tabling players, alongside a $1000 signup bonus. In situations where you want to verify everything’s working with your rakeback before you start playing, players may email [email protected] however this is not essential.